We offer quality training in a relaxed setting. 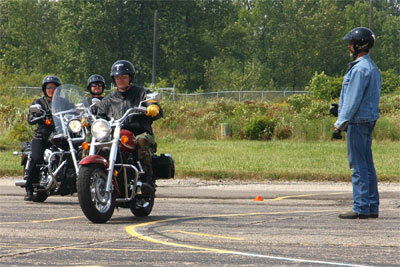 Our program is Motorcycle Safety Foundation and State approved. Our Instructors are all certified Motorcycle Safety Instructors and provide the utmost care when it comes to our students. The motorcycles we provide for all novice & beginner courses, are all in excellent running condition. If you’ve never ridden a motorcycle, want to learn how to ride a motorcycle or just need to improve your minimal skills, this course is for you. 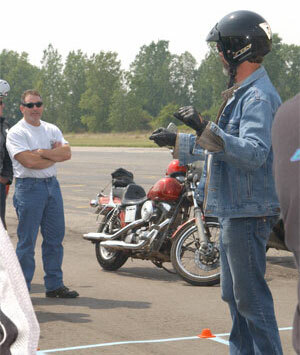 We work on basic riding skills as you learn proper turning, shifting and braking. This course runs approximately 12 to 15 hours of quality instruction time on the bikes with a minimum of 4 hours of classroom. The motorcycles are provided for student use. The students must provide proper riding gear. This course starts Friday evenings at 6pm sharp and continues through the day both Saturday and Sunday. The student must attend all three days in order to complete the course. This course is the one if you need to obtain your cycle license from the State. Class size is limited to no more than 16 per class to allow more quality time with the instructor(s). The Basic Rider Course 2 is offered only at SchoolCraft College (734-462-4448) and at Macomb Community College (586-445-7605). This one day course is designed for the experienced or the unlicensed rider who needs to get legal or needs a refresher course! Many licensed riders use this course as a spring tune up for their skills after a long winter! We’ll cover some braking, counter steering, turning, speed judgment, and other techniques needed for the experienced rider to operate their motorcycle skillfully and safely! 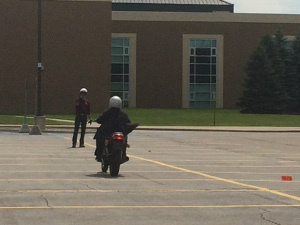 Students must provide their own motorcycle and all proper riding gear. Of course, sharing a bike is not allowed! All bikes should be insured & registered and pass a safety inspection done on site. Passing this course waives the Secretary of State road test! Walt Decorek will be teaching this course at Schoolcraft College on June 24, 2018 and Macomb Community College on July 15, 2018. The Advanced Rider Course is offered only at Macomb Community College and Schoolcraft College due to the range size and lay-out. This is the most advanced and toughest MSF course developed to date. It is very demanding and not for those who have just taken the BRC course in the past year!